Recently I spied a lonely bag of blood oranges languishing in the $0.99 "ugly" bin at the grocery store. Holding the bag up and inspecting it from all sides, I saw a few bumps and bruises... but nothing that a little love and creativity couldn't fix. 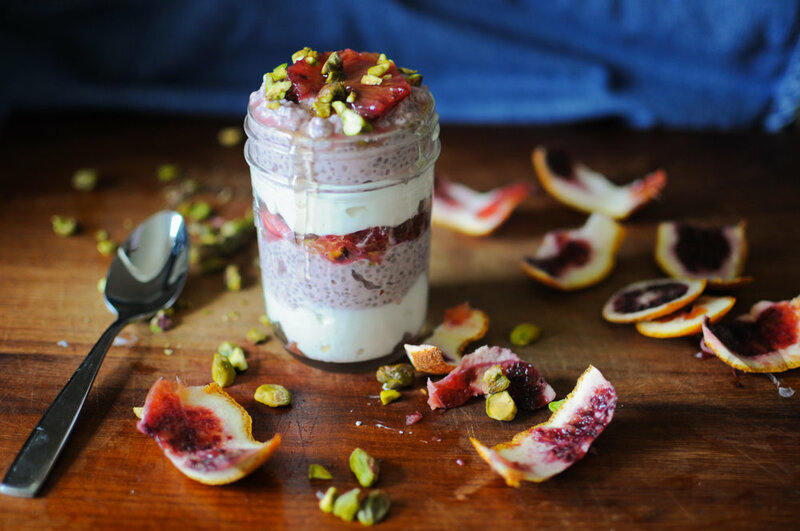 So I juiced those puppies and whipped up a blood orange + chia seed pudding with pistachios and honey - and HOT DAMN it was good. See below for the (very simple) recipe... 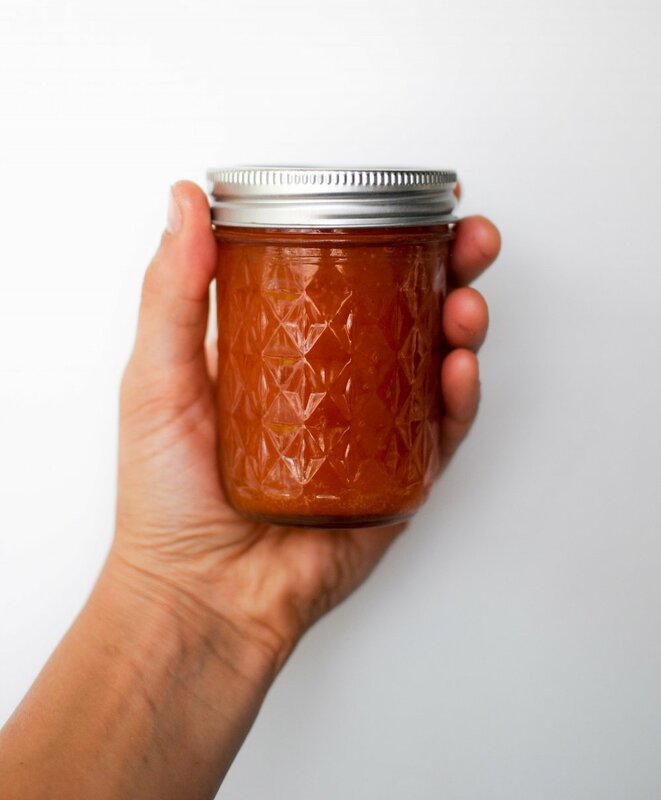 I recommend filling up a few mason jars so you'll have a few healthy + hearty breakfasts or snacks ready when hunger hits. Regular oranges would work beautifully if you don't have access to blood oranges. It starts with little things like giving a second life to bargain bin oranges... but I hope to be better about embracing + celebrating the imperfections in the world, in others, and in myself. Embrace the bumps ya'll (because perfection is boring anyway). Fresh citrus, yogurt, and chia seeds make a healthy + hearty breakfasts or snack ready when hunger hits. Regular oranges would work beautifully if you don't have access to blood oranges. Whisk 1/2 cup of the yogurt, 1/2 cup blood orange juice, vanilla extract, salt, and honey in a medium bowl. Whisk in chia seeds, cover, and chill at least 8 hours and up to 1 day. Cut peel and white pith from the two blood oranges. Cut along sides of membranes to release segments into a medium bowl. Give pudding a good stir and divide between two bowls, creating layers with the remaining yogurt and orange segments. Top with pistachios and remaining orange segments, drizzle with honey, and enjoy!